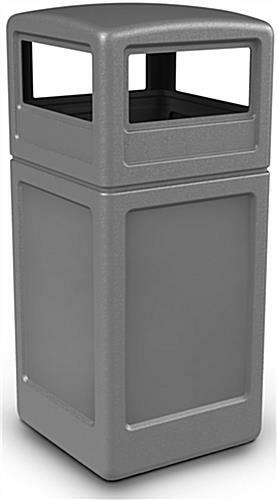 These gray square waste bins have an easily removable lid that makes changing trash bags easy. 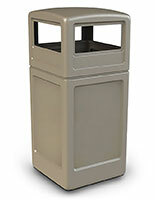 Their strong polyethylene fabrication is weather resistant and can hold up to 42 gallons of rubbish. 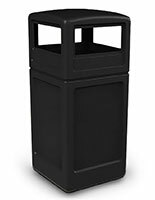 Square waste bins feature a neutral finish that makes it great for any environment, including stores, offices and public areas. 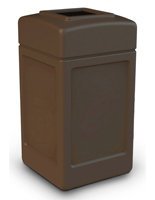 The weather resistant containers are suitable for both indoor and outdoor environments because they can withstand extreme heat and cold. 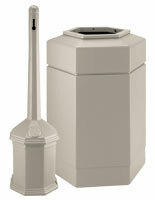 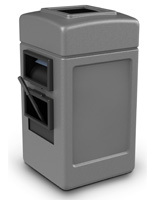 The waste bins hold standard 45 gallon trash bags and hide their liner with the covered lid. 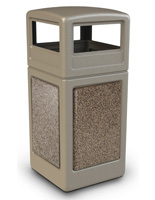 The office receptacle is also available in beige and black.